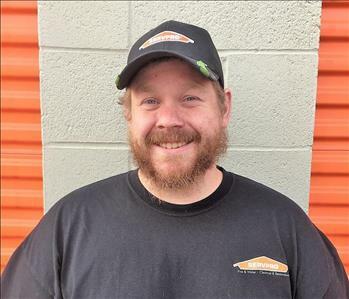 A proud Navy Veteran, Curtis Brogdon is the Production Manager at SERVPRO of Hesperia/Apple Valley. Curtis has over a decade of experience in restoration and construction. He is trained and has his Institute of Inspection Cleaning and Restoration Certification (IICRC) and Water Removal Technician (WRT) certifications. Outside of work Curtis enjoys playing sports with his son, playing music on the guitar, riding dirt bikes and spending time with his family. 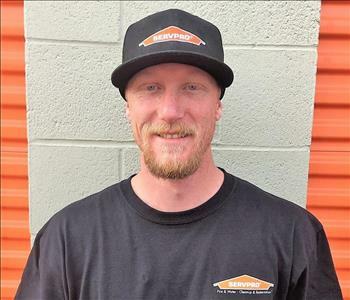 Christian Livingston is the Water Technician Crew Chief at SERVPRO of Hesperia/Apple Valley. He has several years of experience in construction and restoration. He has his Water Removal Technician (WRT) Certification. Outside of work Christian enjoys shooting guns and rifles and spending time with his family and friends. 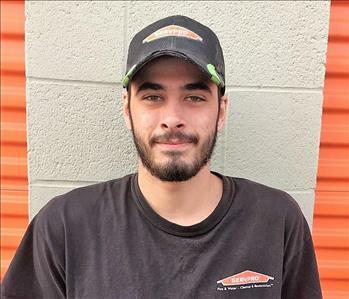 Adam Kaoud is a Water Technician at SERVPRO of Hesperia/Apple Valley. He has several years of experience in construction and restoration. 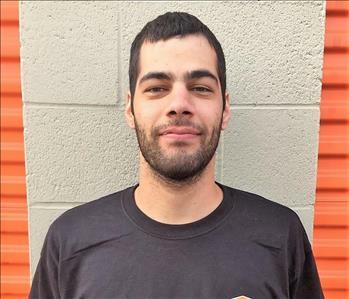 Outside of work Adam enjoys skateboarding and spending time with his family and friends. 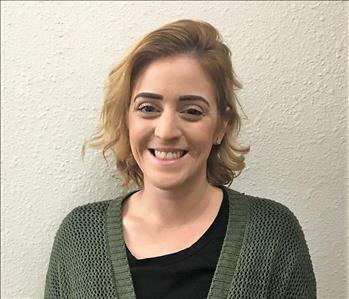 Ahlan Kauod is a Water Technician at SERVPRO of Hesperia/Apple Valley. Outside of work Ahlan enjoys skateboarding and spending time with his family and friends. 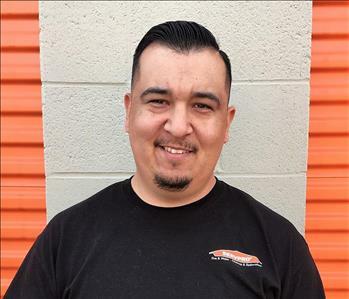 David Mota is a Construction Supervisor at SERVPRO of Hesperia/Apple Valley. He has over a decade of experience in construction and restoration. David is trained and working on obtaining his contractor's license. Outside of work David likes to work, doing side jobs in his spare time. 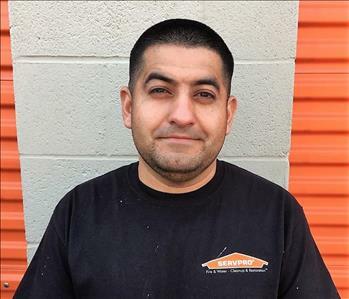 Jorge Perez Sandoval does Construction with SERVPRO of Hesperia/Apple Valley. He has several years of experience in construction and restoration. Outside of work Jorge enjoys spending time with his family and playing music on the guitar or bass. 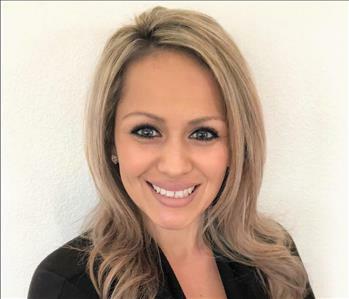 Angie Brogdon is the Manager of Office Administration at SERVPRO of Hesperia/Apple Valley. She has several years of experience in restoration and administration industry. Outside of work Angie enjoys baking, volunteering for her son's sports and spending time with her family. Lori Murukami is an Office Administrator at SERVPRO of Hesperia/Apple Valley. She has several years of experience in the restoration and office administration industry. 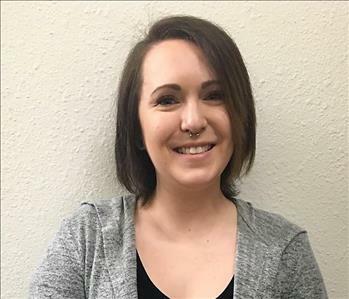 Outside of work Lori is a PC gamer who enjoys spending time with her family and traveling. Jackie Donoho is an Office Administrator at SERVPRO of Hesperia/Apple Valley. She has several years of experience in the construction and office administration industry. Jackie is a full time sports mom who enjoys spending time with her family. She's also a huge NHL fan.